Isopropylphenyl Phosphate - ZhangJia Gang YaRui Chemical Co., Ltd.
Isopropylphenyl Phosphate, Flame Retardant IPPP50 This Product Is Compatible With Vinyl Chloride, Nitrocellulose, Synthetic Resin And Natural Resin, Etc. Because Of The Above Advantages, Reofos Series In Industrial Production Is Widely Used: PVC Film As Flame Retardant Plasticizer, Reofos Increase In The Amount Of Oxygen Index Increased, Enhanced Flame Retardant. In The Rubber Industry Can Be Used As Chloroprene Rubber And Rubber Flame Retardant Plasticizer; In Other Industries Can Be Used As Lubricants With Extreme Pressure Additives And Digestion Of Cellulose Paint, Resin, Phenol Resin And Other Flame Retardants. 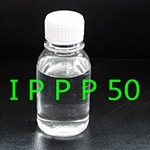 Isopropylphenyl Phosphate, Flame Retardant IPPP50 Use Is Also Applicable To Fabric Coating, Circuit Boards, Flooring, Textiles, PVC, Phenolic Resin And Other Fields. Tax Rebate: Current Isopropylphenyl Phosphate, Flame Retardant IPPP50 Tax Rebate Of 9%.